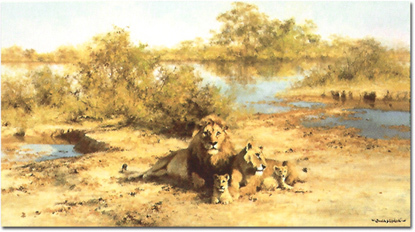 David Shepherd is regarded by many as one of the world's leading wildlife and landscape artists. In recent years he has been rewarded with a number of prestigious accolades including: The Order of the Golden Ask by Prince Bernhard of the Netherlands and The Order of The British Empire for his services to conservation. Read the full David Shepherd biography.